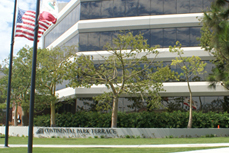 On April 23, 2019, in the matter of Oxford Preparatory Academy v. Edlighten Learning Solutions, the California Court of Appeal, Fourth Appellate District, held that parties can still be bound to an arbitration provision in a written agreement, even after they mutually agree to terminate the agreement containing the arbitration clause. Thereafter, Oxford sued Edlighten for failure to timely pay as required by the survival clause, and Edlighten moved to compel arbitration pursuant to the clause in the Management Services Agreement. The trial court denied the petition because: “(1) the parties explicitly agreed in writing to terminate all three agreements and to extinguish ‘all rights and obligations’ under them, with only two specified exceptions; and (2) the parties’ right and obligation to resolve their dispute through arbitration is not among the rights and obligations” surviving termination of the agreements. The Court of Appeal disagreed with Oxford and the trial judge. The Court ruled “The Termination Agreement does not demonstrate any intent that it would supersede the Arbitration Clause, or, for that matter, any other right or obligation which arose under the parties’ agreements before the termination date.” The Court reasoned that the use of the phrase “shall cease” in the Termination Agreement indicated that the parties had no intent to terminate any rights that were already vested to the parties (including arbitration), instead the Termination Agreement “merely divided the rights and obligations of the parties on a temporal basis.” Further, the Court ruled that because the Termination Agreement was silent as to any repudiation of the arbitration clause, it fell outside of the “subject matter” of performance specified in the integration clause. The lesson to be learned from the case is that clarity is always paramount when drafting a document creating, amending, or terminating an agreement. Leaving a term silent and hoping that a court might see it your way may lead to unintended consequences. Instead, parties and their counsel should seek to maximize the clarity of the bargains they strike. This is even more important in the context of arbitration because, as Oxford Preparatory Academy v. Edlighten Learning Solutions demonstrates, there is a judicial presumption in favor of arbitration, even after the parties terminate the underlying agreement. Attorney Lisa Von Eschen is a panelist at the Daily Journal’s Women Leadership in Law Conference again this year. The Maloney Firm is proud to be sponsoring this inspiring day for women attorneys on May 9th at the Montage Beverly Hills. Two recent California Court of Appeal decisions concerning timekeeping, overtime, misclassification, and reporting time may affect your business practices. The California Court of Appeal in Terry Furry v. East Bay Publishing, LLC held that if an employer fails to keep accurate records of an employee’s work hours, even “imprecise evidence” by the employee “can provide a sufficient basis for damages.” Click here to read more. Also, the California Court of Appeal ruled in a split decision that employees subject to on-call scheduling must be paid reporting time pay, even when the employee only has to make a short call to determine if they are needed, but does not physically report to work. In Ward v. Tilly’s, Inc., Case Number B280151, the Court held that Tilly’s on-call policy triggered the “Reporting Time Pay” provision of California’s Wage Order 7, which applies to the retail industry. Click here to read more. Congratulations to Patrick Maloney for being named to the 2019 Southern California Super Lawyers list, an honor bestowed upon only 5% of attorneys. This is the fifth consecutive year that he has been honored. practice area. The result is a credible, comprehensive and diverse listing of exceptional attorneys. 2018 has been a year of change for California employers, including a landmark new test for determining whether workers may be classified as independent contractors and a host of #MeToo inspired legislation. To get ready for 2019, our employment team has put together a review of the state’s new laws of which businesses should be aware effective January 1st, and an update on important cases decided and pending in the state and federal courts. Following a multi-day bench trial, on December 6, 2018, the Hon. Gerald Rosenberg entered judgment for Maloney Firm client DelMorgan & Company in the matter of DelMorgan & Company v. Le Jolie LLC. In December 2015, web-based retailer Le Jolie LLC sued DelMorgan & Company, its investment bankers and advisors, for failing to raise the $3 million in equity funding the company wanted. In the lawsuit, Le Jolie LLC sought $55 million in lost profits. In November 2018, DelMorgan & Company hired Patrick Maloney as trial counsel. After hearing witnesses and evidence in the Santa Monica Courthouse, Judge Rosenberg ruled that La Jolie had failed to establish any of the claims it asserted against DelMorgan, and that DelMorgan had earned the entire advisory fee paid by Le Jolie. During the trial, La Jolie presented two expert witnesses who attempted to testify that DelMorgan had not provided services as promised, resulting in the demise of Le Jolie. The Maloney Firm established that Le Jolie had never been profitable and that its principal had falsified documents on which the experts relied. It was also established that the company had not actually gone out of business, but had instead continued the same business model, with the same staff, at the same location, all under a new name. Based thereon, the Firm succeeded with motions to deem the expert testimony unreliable. Having rejected the claims by Le Jolie, the Court found that DelMorgan had met its obligations to Le Jolie and was entitled to retain all of the fees it earned during its representation of Le Jolie. Patrick Maloney may be reached at pmaloney@maloneyfirm.com or 310-347-4601. The Maloney Firm, APC is pleased to welcome Lisa Von Eschen as a partner and Chair of the Firm’s Employment Practice Group. Ms. Von Eschen adds depth and experience to the firm’s employment law practice. She counsels businesses and non-profit organizations on employment law compliance issues, including exempt classifications, leaves of absence, payroll, discipline, grievances, terminations and reductions in force. Her practice includes advising companies and executives on employment contracts, commission and bonus plans, restrictive covenants, trade secret and confidentiality issues, and severance agreements. She routinely drafts and audits personnel policies and handbooks, leads internal investigations, and conducts preventive training sessions on harassment and other employment topics. When employment disputes cannot be prevented or resolved, Ms. Von Eschen does not hesitate to litigate her clients’ matters before administrative bodies and courts. Formerly a partner with Latham & Watkins LLP, she has more than twenty-five years of commercial litigation experience. In employment matters, her expertise extends to individual discrimination and wrongful termination cases, as well as systemic discrimination and wage and hour class actions. 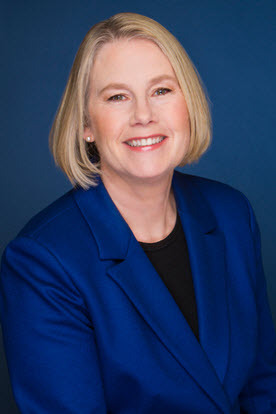 She has conducted successful trials in both the California federal and state courts, and argued (and won) appellate victories before the California and Ninth Circuit Courts of Appeal. She earned her undergraduate degree with honors at College of William and Mary in Williamsburg, Virginia. She received her Juris Doctor degree from New York University School of Law. Ms. Von Eschen can be reached directly at 310.347.4603 or at lvoneschen@maloneyfirm.com. 2018 has been a big year for legal developments affecting employers. Not only has Governor Brown been hard at work signing new legislation, California courts and the United States Supreme Court have ruled on important issues that permeate employment law. Our employment team has put together a review of the laws that took effect as recently as July 1st, the ones enacted at the beginning of the year, and an update on proposed bills being discussed in the state legislature. The Maloney Firm is proud to announce that Greg Smith has been named a 2018 Rising Star in Southern California Super Lawyers Magazine. This is the third consecutive year that Greg has received this distinction which is bestowed on only the top 2.5% of attorneys who are under age 40. Under the Labor Code Private Attorneys General Act of 2004 (PAGA), an employee is required to provide written notice to the employer and the Labor and Workforce Development Agency (LWDA) before filing a lawsuit. The purpose of this notice requirement is to provide the LWDA with the opportunity to decide whether to investigate a case before an employee may file a civil lawsuit on his/her own. In Khan v. Dunn-Edwards Corp. (2018) 19 Cal.App.5th 804, a former employee alleged that his employer failed to pay final wages immediately upon termination, and that his final paystub was inaccurate. He filed a suit on behalf of himself and other employees who had been similarly situated. However, his PAGA notice to LWDA and to the employer referred only to his individual claims and made no mention of any other Labor Code violations; moreover, it did not reference any other current or former employees besides himself. The court granted summary judgment in favor of the employer in a PAGA lawsuit on the grounds that the employee failed to provide a legally sufficient PAGA notice. The Court of Appeal affirmed this decision in January 2018. The Court of Appeal held that the employee’s PAGA notice was legally inadequate because the employee had brought a representative PAGA claim but his notice referred only to the plaintiff himself. This case represents a procedural victory for employers and stresses the importance of reviewing PAGA notices for accuracy. Recently, courts have been strictly applying the PAGA notice requirements set forth in the statute as a mandatory procedural prerequisite. Employers (and their counsel) should carefully review any PAGA letters to see whether any similar inadequacies may potentially invalidate PAGA claims.